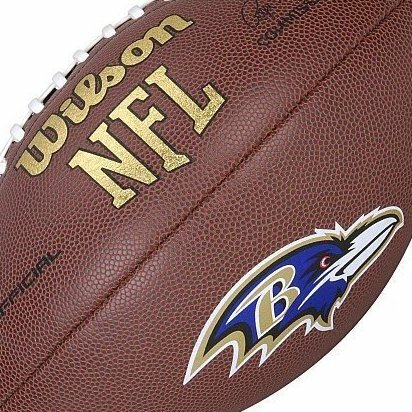 NFL Game Logo Ball-Official Baltimore Ravens. Composite Leather NFL Logo Football. Composite Leather:great performing durable cover provides better grip and feel for the serious competitor. Color team logo on 3rd panel.